New Zealand’s 19th-century settlers brought their calendars and timepieces from the northern hemisphere, but had to adapt to autumn in April, and Christmas in summer. As elsewhere in the world, timekeeping eventually followed a universal standard, but living by the clock down under has had its moments – including six o’clock pub closing, and the world’s first official standard time. Today we tell the time by cell phones, computers and radios, as well highly accurate quartz clocks and watches. Time rules our lives much more than in the past. Before Europeans arrived, Māori (like other traditional societies) told the time by the rising and setting of the sun, the seasons, and the phases of the moon. When settlers began arriving from Britain in the 1840s, they found it strange that Christmas was in summer, not winter. Not many could afford clocks or watches, so they used bells to ring the times for school, work and church. Each town had a slightly different time. Sending telegraphs around the country was tricky because people at telegraph offices did not work exactly the same hours. In 1868 New Zealand was the first country to have a nationwide time decided by the government for everyone to follow. It was 11½ hours ahead of the time set at the Royal Observatory at Greenwich in England (known as Greenwich Mean Time). Towns and cities built public clocks, and by the 1880s people were using clocks at home, and wearing American watches. The clock became more important in daily life. Trams and buses followed timetables, and people worked regular hours. Factory workers started when the siren blew. Children learnt to tell the time at school, and teachers used timetables for lessons. Rugby games were divided into 40-minute halves, and movies and horse races had precise starting times. In 1941 the clocks were set 12 hours ahead of Greenwich Mean Time (and Co-ordinated Universal Time). 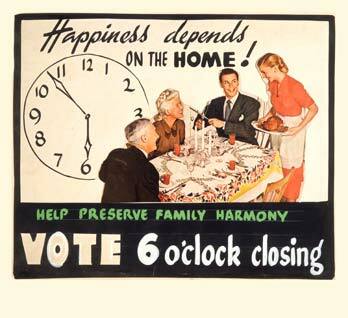 And since 1974 Kiwis have enjoyed daylight saving during summer, when the clocks are put forward one hour. The official time is kept by three atomic clocks in Wellington, and national radio broadcasts six beeps on the hour.